An in planta transformation protocol for sorghum (Sorghum bicolor (L.) Moench) using shoot apical meristem of germinating seedlings is reported in this study. Agrobacterium tumefaciens strain, LBA4404 with pCAMBIA1303 vector and construct pCAMBIA1303TPS1 were individually used for transformation. Since, the transgene is integrated into the cells of already differentiated tissues, the T0 plants were chimeric and stable integration was observed in T1 generation. 𝛽-Glucuronidase (GUS) expression in the seedlings and spikelets of emerging cob was the first indication of transformability in T0 generation which was further confirmed by PCR analysis using hpt and TPS1 gene-specific primers. Screening on 25 mg/L hygromycin combined with PCR analysis was used for selection of transformants in the T1 generation. Transformation efficiencies ranged between 34–38% and 26–34% using pCAMBIA1303 vector and construct pCAMBIA1303TPS1, respectively. 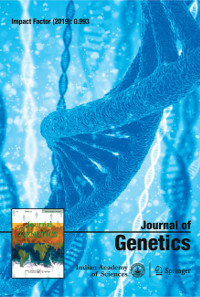 Molecular characterization of the T2 transgenics using PCR, RT-PCR and Southern blot analyses further revealed the integration, expression and inheritance of the transgene. These results indicate the feasibility of the method to generate transgenics with pCAM-BIA1303 vector and construct pCAMBIA1303TPS1. The abiotic stress tolerance of TPS1 transgenics developed in the present study was evident by the ability of the transformants to tolerate 200 mM NaCl as well as higher root growth and biomass.